The steps preachers take in preparing messages vary according to the personality of the preacher, the time available, the nature of the occasion, the type of sermon, the prior knowledge the preacher has of the text, and many other factors. Still, general guidance is helpful as preachers begin developing their own personal approach to preparing sermons. Sometimes this guidance comes in colloquial terms: “I read myself full, think myself clear, pray myself hot, and let myself go.” Other times the guidance receives more academic treatment: “Read the text, research the material, then focus everything on a single idea. The following preparation pyramid captures the essence of these formulas while emphasizing ideas central to expository preaching. *SOURCE: Adapted from Bryan Chapell. 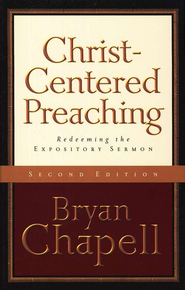 “Appendix 3: Methods of Preparation” in Christ-Centered Preaching. Grand Rapids: Baker, 2005.